Once again it’s time to take another peek at the sections as the season really starts to gather momentum. And as you all know, we have seen some very strange results indeed. But, we said that this was always possible to happen due to the unavailability of some key players because of work commitments for these mid-week games. And for me, it’s at this time of the year, titles and relegations are decided upon unless you have cumulated a massive amount of points ahead of the evening games OR if you are lucky enough to have your regulars able to make those fixtures. Pearse lead the pack here and you must say, they will be happy with their performances despite drawing 2-2 away to Coachford last time out. Village United’s defeat at home to Grattan have hurt them a bit - enough to take them off the Radar for now. On the contrary, the win for Grattan has certainly grabbed the attention of the enthusiasts once again, but with quite a few games to catch up with, they will of course be hoping that they can stay away from injury and hope to have their best 11 out from here on in. 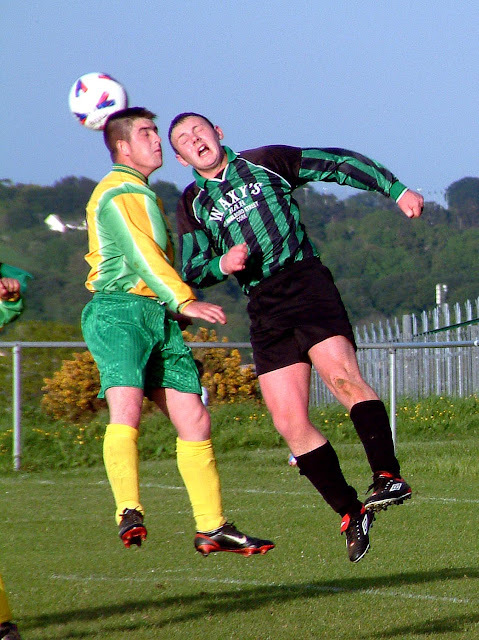 Park United have made superb ground and are lurking now in third spot after a 7-0 drubbing of Blarney Street on Tuesday. Innishvilla have dropped off the pace now and will be hoping to finish as high up the table as possible. Carrigtwohill Untied had a right challenge on their hands starting out when they had to re-build from scratch, but what a response from the younger players they got and it looks like they can put plans in place now to be a force once again in the Premier section for next season. Glen Celtic has also fallen behind after some recent defeats, but will certainly live to fight another day in the Premiership. Coachford have made dramatic improvements and are giving it a right go to survive. That was a huge point gained against Pearse on Tuesday and if they can manage to keep up this good form, they will pull away from the danger zone. Glenthorn Celtic had a good 2-0 win against Glen on Tuesday, but will need to pull out all the stops now from here on in. 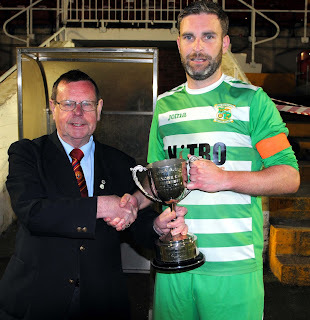 But, for Blarney Street now, it is looking like Premier A football for them next season. What a cracking section this has been all season. 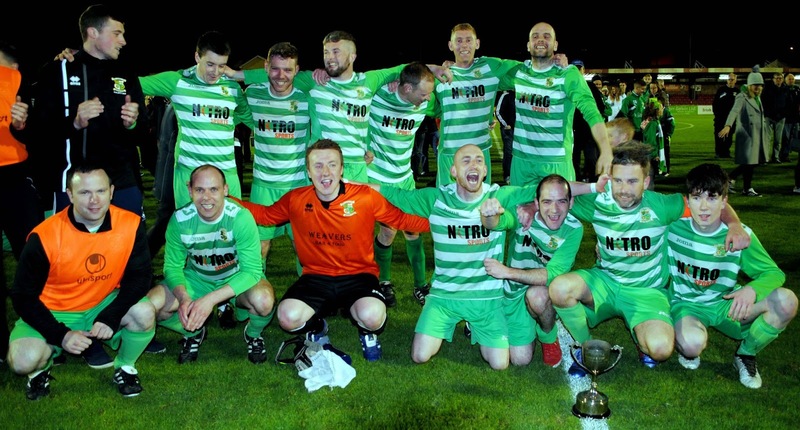 Knocknaheeny Celtic are on top at this point in time, but they will know better than anyone else that Lakewood look like the team now that are - the ones to watch. So, for these two boys now, there cannot be any slip ups of any sort on the run in. Knocknaheeny will need to win away to Macroom while Lakewood travels to Greenwood with nothing else but a win on their minds. In third spot are Bohs who went off the boil a bit lately, but have since redeemed themselves on Wednesday night with a narrow 2-1 victory over Greenwood. There is still enough football here for some more twists and turns, but one thing is for sure, the pressure is on the top four to secure maximum points from here on. Rylane are another side who have fell off the pace a bit and have a lot of ground to catch up with and to be honest, I think the dropping of some essential points recently has damaged their hopes of promotion. So, if Bohs can’t get a result away to Kanturk on Saturday and Lakewood beat Greenwood along with Knocknaheeny getting the better of Macroom away, I think we would then be looking at a two horse race between Lakewood and Knocknaheeny. What an inconsistent section this is starting to be. We saw on Tuesday night – bottom side Tower (who we know are better than what their position suggests) beat leaders Fairview 6-1. Then, Blackstone who were showing very well all along – they go down away to Waterloo 1-2. Buttevant had a tough one away to a Strand side who are fighting for survival, but managed a point after a 0-0 draw while Cloughduv went down 0-4 away to Rathcoole. If you look at the table here, you would have to pay attention to Buttevant and to be honest, if they can get a run going, they will certainly put themselves into the favourites category here to win the section. And if you write off Rathcoole Rovers – you do so at your pearl. They are not out of the race at all yet. In fact, with their games in hand, mathematically, they are in there with a right shout. Beyond that, Strand have been fighting for their lives and giving it a right go as there is still some football to be played yet. If Tower can get the better of Blackstone Rovers on Saturday, it will be a massive three points. So, there is plenty to look out for in this section yet. On to 1A now and it’s Boscos who lead the way still despite not having played either Tuesday or Thursday this week. Closest rivals Leeview A were in action tonight, but could only manage a draw with Cathedral Celtic 2-2 at the Fairfield. Third place Knockraha had a narrow 1-0 victory over the students at the GACA Grounds which keeps their consistency of late going. At the wrong end and with little games left, it looks like Greenmount could be in trouble after going down again tonight 2-4 to Dunbar. So, at the top end, Boscos and Leeview A are holding their own with Knockraha along with Dunbar hoping for slip-ups to happen while they endeavour to look after themselves in the meantime with positive results. But, really, it is still all to play for here. There was just one game on tonight here with leaders Donoughmore cementing their position at the helm with a 3-0 victory over Grangevale. And you would have to say the title is there’s to lose now. But, for the chasing pack, there is still an incentive there to keep going as two go up from this section so, lots for Pearse, Hibs and Banteer to play for yet. The only game on here was Glenthorn v Blackpool Celtic with the former running out 2-0 winners to hold on to their status in second spot. Top of the pile are Corkbeg who will really take massive confidence from their win against City Wanderers last time out. Sunday next they take on the other potential title chasers Glenthorn Celtic B and if they can manage a win here, who knows what can happen with plenty of football still to be played. Whatever about winning the title, they might start to fancy themselves as promotion candidates. Tonight’s results did not really bring any surprises and in any event, the show could be over here because if Central beat Los Zarcos at home on Saturday, they are champions. Working on the assumption that Central can pull this off, the fight behind them will still go on for second spot which of course will grant whoever that might be - promotion to the second division. So, we are still in a squeaky bum scenario here yet – even for favourites Central. What caught my eye immediately here with tonight’s results was South Coast Athletic’s defeat at the hands of UCC B when they went down 3-2 at home. This really throws the cat among the pigeons and without a doubt, at this point in time, its advantage Churchvilla who had a 2-0 victory away to Boscos which consolidates their position at the helm having gone 14 games unbeaten now thus far. The scene is certainly set for a right showdown down in Shanbally on Saturday when South Coast play host to Churchvilla. And if Churchvilla can manage to get a win here, you would have to be going for them as favourites to go on and win the title. If that happens, what a fight we will have on our hands between South Coast, Greenwood and Leeview B as they prepare themselves to battle for the runner’s up spot. 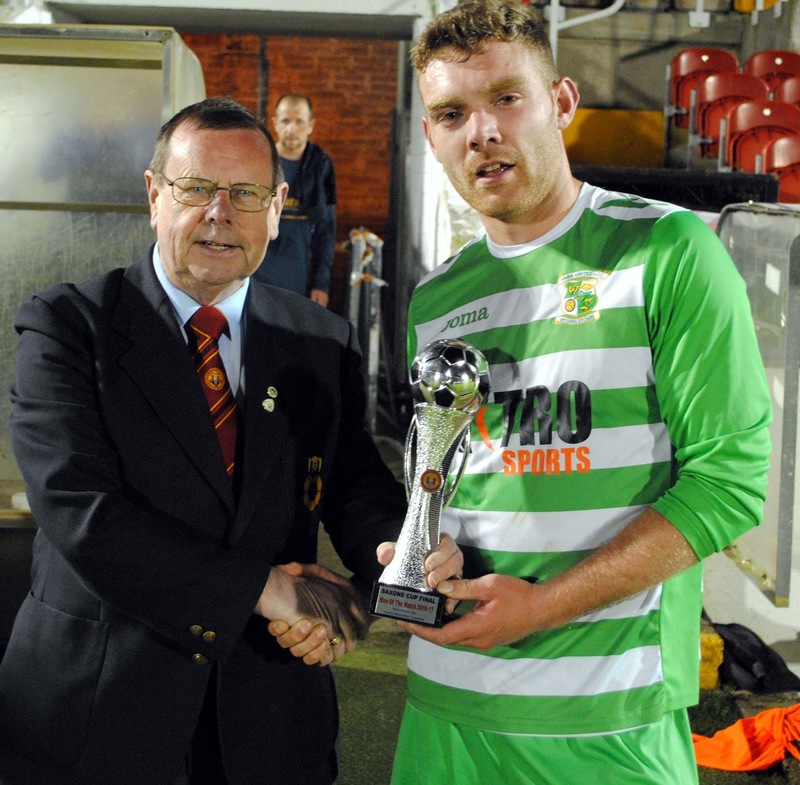 Tom Fitzgerald (Cork AUL) presents the man of the match award to Park United B's James Sheehan after the Saxone Cup Final in the Cross on Wednesday night. Park United B players celebrate after winning the Saxone Cup following their 3-2 victory over Pearse Celtic (aet) at the Cross on Wednesday night. Captain of Park United B Kieran Walsh is presented with the Saxone Cup by Tom Fitzgerald (Cork AUL) at the Cross on Wednesday night.